Before you contact me with your questions, please carefully review this page as I've gathered the most common questions here. If you don't find what you were looking for, you can find my contact guidelines on the CONTACT page. As new information comes to light, I will update this page. I also update this page as new and interesting questions are presented to me. Did you make this all up yourself? Nope. I had nothing to do with the creation of powwowing, the naming of the tradition, the history of the tradition, or any of it. I simply study powwowing, practice powwowing, and help preserve the tradition by writing about it, sharing information, and adding my own thoughts and experiences to the ongoing conversation. Some people like to get angry with me about powwowing being a Christian practice or the word "powwowing" or what-have-you, but I promise that I am just one person in a long long line of powwowers, spanning several centuries. I am not the authority on powwowing nor am I the most learned in the tradition. I just happen to have a love for powwowing, a love for Pennsylvania, a love for the culture of my family, and a love for folk magic in general. If something about powwowing or my work makes you unhappy, I'm sorry to hear it, but I'm also not that fussed about it. Is this stuff for real? Do you actually believe in all this? These are fair questions. Faith healers are historically looked upon as crackpots and scam artists. However, you have to look at the subject in its cultural perspective... To the Pennsylvania Germans, powwowing was very real. Faith in God and God's ability to heal is stronger in some cultures than in others. Throughout history, almost all cultures have had some form of faith healing or folk magic. These things are a piece of our culture and a piece of our history and, by extension, a piece of our collective folk religion. The question of whether or not its "real" is really a subjective one. Do you believe its real? Do you believe in God? Do you believe that God can heal? Do you believe in magic? These are questions that only you can answer for yourself. When it comes to the culture of the Pennsylvania Germans, the answers to most of these questions was 'yes'. As a powwow, I make absolutely no claims to having any sort of gift or power. All I can say is that sometimes powwowing has worked for me, and sometimes it has not. Sometimes the charms I create seem to work for me, and sometimes they do not. Another way of looking at it is that powwowing has been around for almost as long as the PA German culture itself. It comes from even older magical traditions. There are people in our culture that believe strongly in the power of it, and it goes alongside their belief in God. My best advice is to find out for yourself. What is the purpose of powwow? Why bother? It's a cultural practice, so by preserving the practice, you are preserving a piece of the Pennsylvania German culture. If you are lucky enough to be able to work some of the charms with success, then that is another reason to keep doing it. Powwowing was never meant to be a showy or elaborate set of practices that brought fame and fortune to the practitioner. It was developed during a time of superstition and little scientific understanding... but also a time of deep faith coupled with fear of the unknown. So I leave you with this quote from Albertus Magnus, which is really the true foundational book for the powwowing tradition "For the purpose of rendering a great service to mankind......in order to bridle and check the doings of the Devil." Do Powwows have titles, like "Papa" or "Priestess"? I'm not familiar with such titles being used in powwowing, they seem more popular in traditions like hoodoo or Wicca. The only thing that might come close is a Catholic powwow using his/her Confirmation name. When I was around 12 or 13 I was Confirmed in the Catholic Church and given the name Matthew, after the Saint. I incorporated it as my middle name and use it to this day (but not as my first name). Otherwise, I personally don't know of any powwowers that use false names or titles. HERE"S A LINK TO A GREAT ARTICLE about various folk magic traditions that are still going strong here in the United States. Are you the same Robert Phoenix that makes astrology videos on youtube? I had to look this up when I got asked this question. It's not me. It's just a coincidence that we share the same name. Do Powwows work with Saints? This is a good question, to which I can only answer.... it depends. If your powwow is coming from a Catholic background (like Hohman), then it is possible he or she may work with Saints. Personally, I have a few Saints that I love, such as Saint Nicholas, Saint Patrick, and Saint Matthew the Evangelist. Matthew is the name I took for myself during my Confirmation when I was raised in the Catholic tradition. It's fitting that he is the Patron Saint for Accountants, as I am an Accountant. My final answer to this is that a Powwow may or may not work with Saints, as they personally choose. There is no hard and fast rule or taboo about this. Do you use the Ezekiel blood-stopping charm? The passage is Ezekiel 16:6 "And when I passed by thee, and saw thee polluted in thine own blood, I said unto thee when thou was in thy blood, live. Yea, I said unto thee when thou was in thy blood, live." I have used this charm a few times. It's said to be equally effective for distance work as it is for hands-on work. To me this is a curious charm in the sense that whole traditions of healing have sprung up from its use. If you travel south from Pennsylvania, you'll find entire family lines from West Virginia southward that have used this charm to help people in need. The folks from the Appalachian mountains are quite familiar with this charm. Some who are successful with it are sometimes called "blood stoppers" or "power doctors" or even other names. The use of this charm by Powwowers in Pennsylvania may very well be an example of southern practice influencing northern practice. There are even lengthy discussions on Christian internet forums about this charm. Its hotly debated for its use in magic by the more "purist" Christians because the context of the passage seems, on the surface, to imply one individual passing by another individual in need and using words to heal that person. However, the passage really refers to the covenant God makes with Jerusalem, using the image of someone soaked in their own blood to represent the state of the city at the time. Whatever the context or meaning or intent, its a widely popular and effective charm. Is powwowing a southern tradition? Interesting question. But the answer is no. Powwow is most definitely a Pennsylvania-born tradition. One thing I've noticed over the years in regards to certain books written about powwowing is that the authors seem to sometimes confuse southern Appalachian lifestyle with Pennsylvania German lifestyle. This is most noticeable in certain works of fiction in regards to powwowing. The characters language and slang and general attitudes don't bring to mind Pennsylvania German culture, but rather a culture from the deep south. In other works about powwowing, especially in certain Internet forums, it seems common to confuse powwow with hoodoo, as if the two are somehow linked together. I even once saw hoodoo referred to online as "powwow with herbs" and statements like these betray the author's lack of knowledge of both traditions. Do you realize that there are some within the academic community that don't like you? That's silly. I focus just as much on academia as I do the practical aspects of powwowing. I don't have the honor of working in an academic setting where access to historical archives and books is right at hand. So I do my best with what I have to work with (books I buy and the internet). There are links to more academia on this website than I can count. If someone doesn't like me, I can only assume it is their personal issue, and literally has nothing to do with me or the academia that I use to support the information on this website. I'm generally a nice guy. If someone doesn't like me, like I said above, I'm sorry to hear it but I'm also not that fussed about it.. And remember that my day job is as an Accountant. Plus I'm married and own a home, we have an 8 year old son and we currently have 4 elderly dogs. I am not immersed in an academic environment. My experience as a powwow is one that comes from just being a powwow and learning as I go. You don't actually believe in the devil, do you? Absolutely. I was raised Catholic. My mother's side of our family is Irish Catholic. The devil was talked about, certainly, but our primary religious focus was always the Virgin Mother. When I got a little older and started to learn about alternative religions, I was taught that the devil didn't exist, he was just made up to scare people into believing in Jesus. When I found my way back to the Christian faith, I didn't go back to Catholicism but to the religion of my father's side of our family; German Reformed. I began to understand the devil as the adversary of God; not his equal, but his inferior. But also not always God's enemy. It's a complicated relationship between the two of them, and we humans are stuck somewhere in the middle of it all. I believe very much in the devil because I have seen him and experienced him, just as I have seen and experienced Christ. Why is it called 'powwow'? Did you steal that from Native Americans? No one really knows why Hohman's book was renamed "Powwows", and honestly it doesn't really matter. 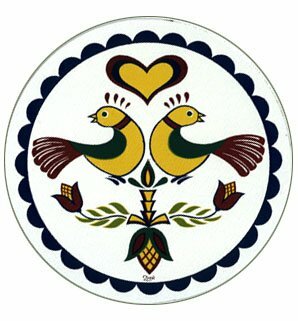 Some say it was a word borrowed from the Algonquin Indians---Here's a quote from German-American Folklore, by Mac Barrick, 1987 "Because the word powwow is Algonquin it is sometimes assumed that powwowing as practiced among the Pennsylvania Germans is largely derived from the American Indian. That assumption is erroneous. Instead it owes much to European traditions and in turn influenced other American folk traditions...", others say it was a name given to the practice by the English..... The fact is, the word is similar to a word used by Native Americans for a type of gathering, but PA Dutch Powwowing is not a gathering of any kind. It's the name of the healing practice, and also the name of the practitioner (a Powwow...a powwower....or a powan) . The German word is Brauche, or Braucherei, or Brauchdokder for men and Brauchfraa for women. But the more popular term is 'powwow'. To date, I have not found a single connection between PA German powwow and anything involving Native Americans. That being said, there is a group in Pennsylvania that claims to have some connection to an historical figure known as "Mountain Mary", who was a healer of some fame and sometimes believed to be a religious figure. A pseudo-religious tradition has been created around the story of this individual, and it's my understanding that they have incorporated some Native religious practices into their work. I cannot confirm the actual substance of what they do, nor do I have any affiliation with this organization, so questions about their work should be directed to them. However, I can say that the source work for the PA German powwow tradition has no ties to Native American history, but you can browse these works for yourself and draw your own academic conclusions. Links to copies of Long Lost Friend, Albertus Magnus, etc can be found peppered throughout this site. Are you sharing secret initiated information on this site? No. There are no 'initiations' in powwowing. All of the information on this site, including all of the charms, comes from sources that are accessible to anyone through either books, websites, newspaper and magazine articles, and so forth. I just tracked it all down and put it all together here so it's easy for you to find. When I was taught powwowing, I learned two charms from my second teacher. Those two charms will not be found on this site or in any of my published works, nor will the name of my teacher. These are the only things that are considered secret, and not because I'm trying to act special. I respect the privacy of the person who taught me those two charms and I do not feel it would benefit her at all if I were to reveal her name publicly. If I go to a powwow, what can I expect to happen? If the powwower is old school, like me, then you'll likely be invited into the house or maybe asked to have a seat on the porch (that's what I usually do). You'll be faced East, as is tradition. You'll likely be handed a bible, but that's not a hard and fast rule. The powwower will likely know why you are there as you would have probably discussed this when you contacted him. He will do the healing/protection/whatever charm. Then you will leave. That's it. That's how a powwow "session" goes. There will be no drama, no bells and whistles, no incense and candles and new age music. He will do the charm then send you on your way. He may very well repeat the charm one or two more times before ending the session. In rare cases, he may ask you to return the next day or, if that's not possible, he can do the last session via distance. In even more rare cases, there may be some follow up instructions, but that's not typical. Powwow is a no-frills, no-nonsense, no-silliness kind of magic (for lack of a better word). The powwower will do the charm then send you on your way. How long it takes for the work to come to fruition depends on what the issue was, how much you trust the work to occur, and what plans God has in store for you. The powwower is not responsible for the work to manifest. He does what he does and leaves it up to God to do the rest. Is there a Council of Powwow Elders? I'm not sure where in the world this idea came from, but whoever is putting this out there into people's heads NEEDS. TO. STOP. There is NO SUCH THING as a "Council of Powwow Elders". There is absolutely no hierarchy in powwow. There is no "authority" in powwow. There are certainly individuals out there that know more about the history and practice of powwow then others, but they are not the "council of elders", nor do they represent the entirety of the powwowing tradition. No one person or organization represents powwowing, nor is anyone answerable to anyone else. If you choose to pick up the practice of powwow, then you and history and culture are your only "elders". Don't worry about what I think. Don't worry about what anyone else thinks. Do you put hexes on people? The word "hex" is the PA German word for "witch". It has become, in recent years, a word used to mean "curse". Do I put curses on people? Not usually, no. However, I am absolutely capable of it. I've been trained in all manner of magical practices, including things that might be considered "dark arts". Long ago, when I was in my 20's and not yet a Powwow, I was a member of a witchcraft organization and I learned a great many things. Even though my spiritual journey led me back to Christianity and the practice of Powwow, many of the skills I learned over 20 years ago (I'm creeping toward age 50...) are still a part of my Powwowing. I do know how to hex, should the situation arise. Thankfully, however, it is a set of skills that I don't typically utilize. What is the difference between powwow and hexerei? Powwow is work that is done in the name of God. We believe that God effects the changes that we petition for, hence the reason we say we will "try" for you, but it's ultimately up to God. Hexerei, on the other hand, is powered by the Ego. It is self-serving. When Ego is placed before God, it becomes selfish and damaging. There's nothing wrong with wanting something for your self, but when you take God out of the equation, you open yourself up to other influences, such as Satan. Do you belong to a powwow group? No, there aren't (to my knowledge) "powwow groups". There is no hierarchy within powwowing, no formal training for powwowers, or anything of the like. I am acquainted with a few powwowers from around the state but certainly we do not consider ourselves to be any sort of "group" or "team" in any sense. If you are hoping to join or start such a group, I really don't have much advice to offer you here. I don't like your powwow grimoire book. Why did you write it? It's important to know that I do not consider myself to be a writer by any stretch of the imagination. I have had no training in writing or research or how to put a book together. So when I first wrote Powwow Grimoire, I didn't know how to format anything or the best way to present the information. Then a few years later I learned some things about formatting and made some changes to the book. I've always felt it was important to share information as I learned it, so that's why I think this website is really my most important resource for powwowing info. There are a number of good books out there about Powwow that I definitely think you should read. They are written by authors and academics that have a really good grasp of the history of the PA Germans and the mechanics of Powwowing. I'm just a practitioner who happens to like sharing information about the tradition. Like I always say, I'm not the ultimate authority, I just happen to be the one to share the most information freely. Do the Amish use powwow? Yes, but not all of them. Here's a good excerpt from Amish Society by John A Hostetler, Johns Hopkins University Press 1963. Sympathy curing, also called powwowing, plays a minor role in Amish healing even though some Amish condemn the practice. Powwowing is defined as a native brand of faith healing - using words, charms, amulets, and physical manipulations in an attempt to heal man or beast. Other terms used for powwowing are "charming", "conjuring," "to try for," and "to use" (a direct translation from the German term Brauche). Powwowing apparently has no direct connection to Indian folk medicine, but was transplanted to America by immigrants from the Rhineland and Switzerland. The practice is not unique to the Amish, for at one time it was a common healing art among Pennsylvania Germans. Is powwow a Christianized version of Heathen magic? No. powwow is, historically and culturally, a system of magic that was born out of Judeo-Christian mysticism of the early centuries (see: Grimoire traditions), Medieval Catholicism, and later the practices of the Cunning Folk. Contrary to popular belief, it was never a system of magic that was later given Christian overtones. It did not exist, as we know it today, in any other sense than Christian/Judeo-Christian. It is a collection of charms and spells that were created using the belief in the Bible. The world of the 14th-19th centuries was very different than the world we know now. The Christian worldview was the norm by which people understood religion, science, and the universe. Powwowing works under the assumption that God the Father, God the Son, and God the Holy Spirit will answer our call for healing and/or protection in our time of need. One need only take a quick glimpse at the old grimoires that the PowWow tradition came from to understand this. LONG LOST FRIEND, ROMANUS-BUCHLEIN, ALBERTUS MAGNUS, THE BIBLE. 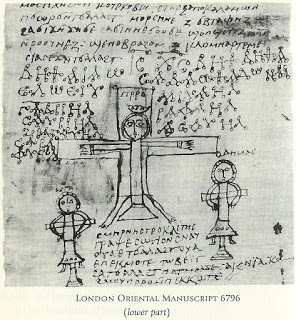 While it is a very real possibility that some remnants and ideas have survived from prior to the Christianization of the areas that would eventually become known as Germany (sometime around the 4th to 6th century, approximately 1,400 to 1,600 years ago) much of the grimoire work that inspired powwowing comes from Coptic Christianity and Medieval Catholicism. Just a note of appreciation for your comprehensive website on powwowing, especially your clear and accurate position that powwowing is a Christian practice, and that (contra other sources) the Christianity cannot be optional. Here are a few important excerpts from the works that the powwowing tradition comes from that show the intentions of the writers of these works. Please note that these writers did not list sources for much of their work and, to date, no Heathen sources have ever been proven for these grimoires or, by default, for the tradition of powwowing. Mancher in Amerika glaubt an keine Holle oder Himmel. In Deutschland gibt es solche Leute nicht so viel. Ich, Hohman, frage: We vertreibt gleich die Schussblatter, kalten Brand? We stopft das Blut? Ich antworte, und ich, Hohman, sage: Dies thut der Herr. So muss Holle und Himmel seyn, - und auf solche Leute halte ich nichts. "Many people in America believe in no hell or heaven. In Germany such people are fewer. I, Hohman, ask, who cures wounds and gangrene? Who stops blood? I answer; and I, Hohman say: The LORD does it. Therefore there is a hell and heaven. I don't think much of such people." There isn't anything academic to connect powwow with ancient Heathen practice, if anything at all. I would refer you to THIS LINK for a comprehensive study of religions in Europe, which directly effected the religions that came to Pennsylvania with the German and Swiss immigrants. The precursor to our familiar Long Lost Friend was called The Long Hidden Friend. THIS EDITION, translated in 1904 by the Journal of American Folklore (Carleton F. Brown), contains an important preface that discusses the origins of much of this work. Those origins are academically agreed upon to be Medieval Catholic prayers against witchcraft. Follow the link to read for yourself. ?Pow-wowing was essentially a religious movement which regarded illness as the work of the devil, an evil manifestation to be expelled by charms, herbs, manipulations and incantations delivered by an empowered believer in the Scriptures,? Lehigh University professor Ned D. Heindel wrote in the introduction to his book, ?Hexenkopf: History, Healing & Hexerei.? Pennsylvanian author and newspaperman A. Monroe Aurand, in his 1929 work ?The ?Pow Wow? Book,? concurred. Here's a link to the YAHOO ENCYCLOPEDIA ENTRY ABOUT THE PA GERMANS that you may be interested in. If you are interested in reading more about Jewish magical customs, I definitely recommend THIS LINK (Jewish Magic and Superstition). Everything from specific biblical verses that are used in powwow to the repetition of charms three times, astrological timing, and even fever-reduction charms all have their parallel in ancient Judaic customs. It's possible that Germanic folklore inspired some of this magic, although highly improbable, because by the time these grimoires became fashionable and were introduced to the German people, those provinces would have been Christian rather than pagan. Remember that the German provinces were Christianized as early as the 4th Century, roughly 1200 years prior to popularity of the grimoires. But please read through all the links and draw your own academic conclusions. For more info about the supposed 'grimoire traditions', I recommend THIS LINK, from the Hermetic Order of the Golden Dawn. A quote from their site: Ritual Magicians of the Middle ages and Renaissance periods tended to be heavily religious, and although they found inspiration in Pagan and Islamic texts, they often relied on Christian magical traditions going back as far as the first century. Some especially religiously oriented magicians even found a biblical imperative in the words of Jesus- " And whatsoever ye shall ask in my name, that will I do "
There are generally two types of magical manuals, Ritual Magic primers and compendiums of so called "Natural magic." While the latter are usually a hodge podge of chemical preparations and herbal formulas, the former contain a curious mixture of prayer, conjuration, and Qabalistic or astrological formulas. They often contain a laundry list of enchantments, from the mundane (obtaining money and favors) to the improbable (invisibility, invincibility, and the power to fly), to the profoundly spiritual (union with God, enlightenment, and wisdom). Much of modern Ritual Magick is based on the techniques found in these old books. The Historical Society of Berks County HAS A NICE ARTICLE about Powwow's history. Please visit the PENNSYLVANIA GERMAN CULTURAL HERITAGE CENTER for even more info about the Pennsylvania Germans. Read THE PEOPLES OF PENNSYLVANIA: AN ANNOTATED BIBLIOGRAPHY OF RESOURCE MATERIALS, by David Washburn. This is a great resource for historical facts about the immigration of the PA Germans. HERES A LINK to the wikipedia page giving a very well-researched outline of Germanic pagan beliefs. Nothing is mentioned of a survival of these beliefs in Pennsylvania; although it does mention a neopagan revival of old beliefs dating no older than the 20th century. THIS LINK takes you to an example of one of the old ceremonial magic grimoires from the 1800's. In this example, you can clearly see the inspiration for more modern magical traditions, such as the modern neopagan wiccan movement. For even more info, go to ENCYCLOPEDIA BRITANNICA, they have rather extensive amounts of information you may be interested in. In other cultures, practices very similar to powwowing were (and still are) present. The Cunning Men and Women of Europe, the charmer from Ireland (here's a good article about those), the Slavic healer, and so forth. Many, if not all, of these practices believe that the tradition of healing originated prior to the Christianization of their respective areas, and this is probably true. We humans have always sought ways to heal ourselves and others. But powwow, as it is strictly known and practiced within PA Dutch culture, is an entirely American and Christian practice. It simply did not exist in this way prior to the colonization of America by the blended culture of Germanic and Swiss immigrants. And these immigrants were Christians of varying denominations. HERES A NICE WEBSITE that chronicals one family's history, which gives a very good outline of the early German immigrants and the predominant religious persuasions of the times. Here's an article from the Rorbrach Library at Kutztown University in Berks County PA that gives a good listing of the religions of the early settlers. If you want to learn more about the Cunning Men and Women of England, the true "white witches" from about 1400 to the 1900's, I recommend Jim Baker's The Cunning Man's Handbook, Avalonia Press, 2013. You can purchase it HERE. Also, THIS WIKIPEDIA ARTICLE is extremely reliable, and a must read if you are interested in Cunning Craft, which is the folk magic ancestor of powwowing. For a more accurate (historically and culturally) view of early PA Dutch spiritual/religious lives, I'd recommend a study of the Lutheran and Reformed church's history in Pennsylvania; as well as the anabaptist groups (Amish, Mennonite, and so forth). HERE IS A GOOD BOOK called the History of the Lutheran church in Pennsylvania that gives a very good picture of early PA German religious life. HERE IS A LINK to the Early History of the Reformed Church in Pennsylvania, by Daniel Miller of Colombia University. HERE IS A LINK to an online article by Elizabethtown College about the history of the Anabaptists in Pennsylvania (includes Mennonites, Amish, and Brethren). HERE IS A VERY EXTENSIVE RESEARCH LINK with church records of Pennsylvania dating back to the earliest settlements. If there are elements of ancient heathenism in PA German culture prior to the late 20th Century, there is nothing academic written or preserved in history to back up this claim. Heathen worship and magic in regards to Pennsylvania German culture is entirely a product of the late 20th Century in Pennsylvania's neopagan community. 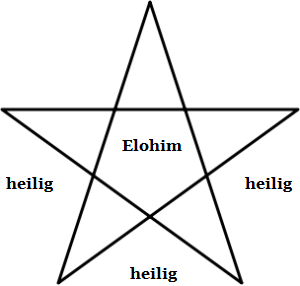 I might recommend a search for Urglaawe, which is a neopagan heathen tradition that may appeal to you, if that's what you're interested in. For more accurate information, I recommend you go straight to the sources. LONG LOST FRIEND, ROMANUS-BUCHLEIN, ALBERTUS MAGNUS, THE BIBLE. When you study the actual recorded history of powwowing in Pennsylvania, you will find that these are the sources listed for the practice of powwow. A thorough study of these sources will reveal their Christian roots. I'm pretty sure you are wrong, and the white witches of England were actually keeping secret pagan traditions alive.... I'll let historian and academic scholar Jim Baker answer this one..."Firstly, we must discard some historical assumptions implicit in Wicca - and "Trad Witchcraft" as well - as accurately defining what "white witches" were doing before the 20th century. It will be objected by some that English magical practice wasn't limited to the essentially Christian system described here, but that a parallel underground inheritance of pagan magic existed as well and employed in secret (so secret that its very existence wasn't recognized until the 20th century) by certain bands of pagan "witches" or ritually-oriented Cunning Folk. I need to say that I found no support for this in the fairly extensive research I have done. The Cunning Folk are the only documented "white witches" in the (1500-1900) period under discussion. There is no available evidence of any underground survival of conscious paganism at work between 16th century England and about 1900, so I must disregard speculations concerning the worship of pagan gods and goddesses, organized covens, "initiations" of white witches, and any cycle of rituals and holiday observances apart from those embodied in Christian tradition. Although one cannot prove a negative, even an authority as sympathetic as Carlo Ginzburg categorically states that there were never actual earthly gatherings of "covens" or something like them - all the activity of the witch-fighters he found were carried out on the spiritual plane, not in local woods and fields (Ginzburg 1991). The beliefs of the quasi-shamanistic benandanti did contribute to the conceptualization of the witches' sabbat, but no one has found any equivalent in English sources, at least before the concept of the sabbat began percolating in from continental circles. Atypical testimonies such as Isobel Gowdie's that are sometimes cited as a revelation of an otherwise hidden witch culture are not the tip of a cultural iceberg but simple anomalies." I read somewhere that powwowers use old pagan spells and just switched the gods and goddesses names with Jesus. There's literally no academia to prove that. It's a common belief perpetuated by poor scholarship. Isn't the use of magic forbidden in the bible? Not necessarily... One might argue that the bible is filled with magic. And we must take biblical writings in their proper context. Who, exactly, were they referring to when they spoke of magicians and sorcerers? What were the original words used and do those words have the same meaning today? Is it possible that Jesus was learned in the magical arts of the time/place? Let's also not forget that Christians of varying denominations have been practicing magic for as long as there has been Christianity. These types of questions and debates are really personal issues that you must resolve within yourself, rather than attempt to force a belief onto someone else. As for me, I am quite confident in my practice of folk magic alongside my Christian beliefs. For a very good study of the magic found within the bible, I recommend THIS LINK. Pictured here is a written spell allegedly from the sixth century designed to "cast out unclean spirits". It invokes the name of Jesus and utilizes both the written word and artwork, not unlike a Himmelsbrief. I'm an expert in Hoodoo, Native American magic(k), Curandero, Paolo, Voodoo, Santeria, and Wicca and I want to be a Powwow. Will you teach me? No. When someone like this comes to me, I can tell they don't truly understand powwowing and lack an understanding of the culture, history, and faith of the Pennsylvania Germans. There is more than enough information on this website for you to figure it out for yourself, but I won't personally offer you any one-on-one instruction, nor will I share with you the charms that were taught to me privately. Are you a part of lucky mojo Rootworkers organization? I literally didn't even know what this meant and then I googled it, it appears that some internet shop owner set herself up as the authority of hoodoo and now all hoodoo practitioners are somehow under her umbrella (??) At least, that's what it appears to be. I can't say yes or no if she is the authority on hoodoo or not as I don't know a whole lot about that tradition. However powwow is under no such obligation. I have literally no connection to whatever that organization is trying to be, nor would I want to be connected to such a thing. I have a family and a career and a practice of folk magic that is only answerable to the God I serve. Powwow has no authority or hierarchy, nor would we want it to. Powwowers are autonomous and rarely even interact with each other. Is the Hex Hollow documentary about powwow? Technically, it's about the murder of powwower Nelson Rehmeyer in 1928. My role in the movie is minimal. I offer information from the perspective of an actual powwower in order to give an idea of what powwowing is like to help the viewers understand Mr. Rehmeyer a little better. The movie is largely about the three murderers. Don Yoder said in one of his books that powwowing was a Protestant version of Medieval "old religion". Doesn't that mean it's a Christian version of paganism? No, the "old religion" in Medieval Europe was Catholicism. By Medieval times, Europe was largely Christianized. The "new religion" was the emerging Protestant church in the 1400's. The "old religion" was the Catholic church. For information, see Medieval Religion Many of the anti-witchcraft charms found in today's Powwowing tradition are directly descended from the Medieval Catholic church's beliefs and practices regarding diabolical witchcraft. However, since powwowing is less Catholic and largely a Protestant tradition, it can honestly be said to be a new version of the "old religion". Hohman himself was a Catholic, yet the modern powwow is more likely to be found in what remains of the German Reformed church in Pennsylvania, or the Lutheran church. Why is this all about Pennsylvania? What about powwowing in other states? Some powwow charms can be found in other folk traditions, like in the Appalachia folk healing tradition or even further south amongst the Ozarks, but mostly this is attributed to the traveling of copies of Long Lost Friend. Hoodoo mail-order companies started selling copies of Long Lost Friend and Albertus Magnus in the early 1900's, which brought these charms to the southern United States. However, all the elements that combined to make the Powwowing tradition what it is were combined within the borders of Pennsylvania over the past few hundred years. Powwowing is a uniquely Pennsylvania-born tradition. It was so popular that printing presses in Harrisburg, Reading, and Allentown are largely responsible for the copies of Long Lost Friend, Albertus Magnus, and other powwowing tracts that were widely available from the early 1800's until present day. Only in Pennsylvania did the culture of the Pennsylvania Germans form. 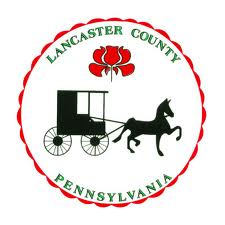 Over time, Pennsylvania Germans migrated to other parts of the country, but this was generally the Amish or Mennonites, and they weren't the largest part of the culture that practiced powwowing. Where can I buy powwow tools/merchandise? There aren't any powwow tools or merchandise to buy. A vast majority of the charms require nothing more than your hands. There a few techniques that use bits of string or yarn, which you can probably find laying around your house. You'll likely want to invest in a trusty pocket knife, since you may find yourself cutting up sticks or stripping bark off branches if you plan to make divining wands. I've seen some charms that might use a penny or a potato, but that's pretty much it. I have seen a few things pop up every once in a while on Facebook or Pinterest that are advertised as "powwow spell kits" and the like, and I even once saw someone charging for "powwow cleansings", but this stuff is nonsense and I would advise against wasting your money on it. How do I set up a powwow altar? There's no such thing as a "powwow altar". A powwow does not require such a thing in his home, nor is it necessary for any sort of powwow working. That being said, some people like to have religious altars or shrines in their home as an expression of their religious faith. There's nothing wrong with this at all. However, it must be understood here that powwow does not require an altar. If you feel as if you'd like to have religious devotions in your home or a specified place where you keep your religious or magical bits and baubles, then by all means do so. But the tradition of powwow in and of itself has no need of altars. I have German ancestry, does that mean powwow is in my blood? No, powwow isn't in our blood. It's a practice we pick up on our own, or are taught by another, and it will either work for you or it will not. What's in our blood is the DNA of our ancestors. What's in our hearts and memories are the cultural customs and traditions we were raised with, which can help us connect to the folk magic of our ancestry. German ancestry is the largest ancestral blood lineage in the United States, so you are certainly not unique in that you have German ancestry. However, Pennsylvania German and German are not the same thing. German ancestry are those of us who had ancestors from Germany that migrated to the United States and settled wherever they decided to settle. Pennsylvania Germans are those who came to the United States to settle in Pennsylvania that may have been from Germany, but may also have been from Moravia, Bohemia, Switzerland, Austria, France, and so forth. They were German-speaking people who blended with the Scots-Irish that were already here, and it formed a unique culture that became known as "Pennsylvania Dutch" or Pennsylvania German. Is herbalism an element of powwowing? Isn't that pagan? Herbs and plants are the very foundation of modern medicine, and have been in use for thousands of years by people of all walks of life for food, medicine, and even folk magic. God Himself created plants and herbs for food and medicine....."...and the fruit thereof shall be for meat, and the leaf thereof for medicine." (Ezekiel 47:12).. ..."The Lord hath created medicines out of the earth; and he that is wise will not abhor them." (Apocryphal Book of Ellcesiasticus 38:4) Even the Mennonites (or rather, especially the Mennonites) know the value of herbal and holistic medicine. While they may be among the strongest voices speaking out AGAINST powwowing, they sure do know their home remedies! Herbal remedies can be an aspect of powwowing, if that is your specialty. Their use is neither religious or evidence of any type of religion. The German and Swiss immigrants brought their knowledge of herbal remedies with them to the New World. They also brought many of their native plants with them. This, blended with the new knowledge learned about plants native to America, became a part of their culture. Modern herbalists still use this knowledge to make tinctures and liniments, and other things. This is not evidence of paganism, or Christianity for that matter. Rather it is evidence of home remedies, nothing more. HERES A NICE NEWSPAPER ARTICLE from a Pennsylvania Attorney, who is an expert of PA Dutch herbal medicine. I also recommend THE PEOPLES PHARMACY GUIDE TO HOME AND HERBAL REMEDIES. Another fantastic publication was the 1970 edition of God-given Herbs for the Healing of Mankind by William McGrath. Are hex signs a remnant of witchcraft or paganism? I recommend we go to the source for proper information; into the PA German culture. HERES AN ARTICLE from the Rohrbach Library at Kutztown University. HERES A DESCRIPTION by the Zook family, famous for their hex signs for the past 100 years, give or take... Here you can read excerpts from DON YODERS HEX SIGNS book, which gives a neutral view but ultimately the question of their origins is difficult to determine. Based on the academia available, I believe hex sign imagery is an evolution of the fraktur art that became popular in Europe in the mid 1500's and remains popular to this day. My personal conclusion is that, while they seem to be remnants of old Germanic folk art, there really isn't anything to connect them to the use of runes (old Germanic magical symbols). This doesn't mean the connection isn't there, but the academic and scholarly work on the subject doesn't exist to prove it. HERES A GREAT INTRO TO FRAKTUR HISTORY. For more in-depth information about PA German folk art; it's history; and the history of the PA German people, READ THIS LINK. The FREE LIBRARY OF PHILADELPHIA has the largest collection of PA German fraktur art available. They also have extensive genealogy resources for the PA German culture. A more probable connection between runes and other magical symbols would be the galdrastafir, which were runic magical symbols from Iceland around the 17th century that incorporated both pagan and Christian elements. A good study of this magic system can be found HERE. "Very few of these 1740-1840 structures (barns) were decorated. Most early barns were unpainted, for painting of barns did not begin until about 1850. The dating of these barns shows when the painting was done, not when the barn was built.......The questions of the meaning of the six-lobed and other geometrical designs painted on the barns after 1850 is highly controversial...in Europe, these designs have religious association. The distinguished German architect, Dr. Karl Rumpf, has published an article in Rheinisches Jahrbuch Fur Volkskunde entitled "Geometrische Ornamentik an sudtiroler Stadeltoren" in which he traces these six-lobed designs back to South Tirol. Dr. Rumpf pictures one of these barn-doors with designs and the letter IHS and a cross....... Over four hundred people, whose barns have these signs on them, were interviewed, many vehemently deny belief in witches, and some argue that this theory comes from "outsiders"...." -excerpts from Early Pennsylvania Arts and Crafts, John Joseph Stoudt, Pennsylvania Historical and Museum Commission, A.S. Barnes and Company, 1964. What about all the symbols in Pennsylvania German art, aren't they hidden symbols of heathen religions? No. Most of them are just simply birds, hearts, flowers, angels, stars, and other animals. Are powwows the same as British Cunning Folk? That's a good question. A comparison of powwow with the Cunning men and women of Europe is a fair and accurate description. To read more about the Cunning Folk, GO TO THIS LINK. It is my understanding, based on research, that English Cunning Craft and grimoire magic were popular in both Britain and Germany during the same time period. If you study the English Cunning Craft, you'll see the same charms that are used in powwowing. How many contemporary white-witches regularly practice both thief magic and unbewitching on a commercial basis? A self-styled wise-woman today who does not deal with bewitched clients is not a wise-woman as defined historically. [Malevolent] Witchcraft was the glue that held the concept of cunning-folk together... This is not to belittle the role of modern magical healers. They continue to provide relief and comfort to people, just as cunning-folk did. Rather, it is an attempt to clarify where they really stand in relation to those formerly described as cunning-folk. People who refer to themselves as such ought to be fully aware of their relationship to their historical namesakes, and be aware of the conceptual and social differences that separate them. there is still a considerable gulf between hedge witches and cunning-folk, not only in relation to the unbewitching trade, but also from a religious point of view. Cunning-folk were essentially Christian. Whether conscientious churchgoers or not, they employed the Bible and Christian rites and rituals. Hedge witches, on the other hand, are mostly [Neo]pagans in some form or other. They worship nature and have an animistic conception of the physical environment. This, in turn, is mirrored in the content of the spells and charms they use."" For the best information about Cunning Craft, check out the works of Owen Davies. Links to his books can be found on this Wikipedia page. He is THE authority on Cunning Craft. I also recommend reading The Cunning Man's Handbook: The Practice of English Folk Magic 1550-1900 by Jim Baker. This is an extremely comprehensive study of English Cunning Magic and is quite useful for gaining insight into Powwowing. Here is a marvelous article from the Reading Eagle, circa 1872, where a Powwow is interviewed. His practices, while somewhat rare in the tradition, are VERY reminiscent of the Cunning Men of England. READ THE ARTICLE HERE. Are powwows the same as Appalachian Granny practitioners? Also a good question. You would do well to read an academic piece about the Folk Magic of the Appalachians. HERE IS THE LINK to the academic study. there is still a considerable gulf between hedge witches and cunning-folk, not only in relation to the unbewitching trade, but also from a religious point of view. Cunning-folk were essentially Christian. Whether conscientious churchgoers or not, they employed the Bible and Christian rites and rituals. Hedge witches, on the other hand, are mostly [Neo]pagans in some form or other. They worship nature and have an animistic conception of the physical environment. This, in turn, is mirrored in the content of the spells and charms they use. Finally, don't take my word for it, read all the above links, then go to THE PENNSYLVANIA GERMAN SOCIETY LINKS PAGE for as much information as you can possibly want about the history of our culture. PENNSYLVANIA GENEALOGY 101 has a nice bit of information about Pennsylvania history as well. For a very thorough study of Pennsylvania history, go to the OFFICIAL PENNSYLVANIA HISTORY WEBSITE. You will not find more thorough information. Here is a link to ENCYCLOPEDIA DOT COM article about Pennsylvania history; explaining the waves of immigration, the ethnicities of our various cultures, religious beliefs, dates, etc. I am a non-Christian, can I be a powwow? Traditional Pennsylvania German powwowing is probably not for you then. If your goal is to preserve an element of Pennsylvania culture and history, then traditional powwowing is the best route. If you have different goals, then I have no idea where to direct you. Remember that it is best to learn powwowing from an actual powwower; cross-gender is the traditional method-but not the only method. And that individual, if adhering to tradition, will be a Christian. This does not mean that individual will be an evangelist or "bible thumper". However, that individual will consider themselves to be a Christian, as the charms and cures used in powwowing assume a Christian worldview. "One thing must not be omitted, in conclusion, and that is, we must first become Christians before we can perform cures by Christian methods.....The principles of this art of healing have been fully established according to certain declarations and doctrines of the Bible." Can I write my own charms? Sure, if you want. I've modified some of the traditional charms to be more useful in modern times, but generally I do not write my own; with just a few exceptions. The tradition has a great many charms that are quite useful and I like to stick to tradition. You can be creative if you like, there is no one stopping you, but in order to maintain the integrity of the tradition and it's culture, I wouldn't get too crazy if I were you. There is power in tradition after all, and there are charms for every purpose under the sun. A little modification, without rewriting the system, can really go a long way. And remember that we are not meant to be all things for all people. While you may be fantastic at healing burns, you might not be able to cure a wart to save your life. Me personally, my specialty is protective talismans and headache charms. I have tried others with varying degrees of success, and I'm ok with that. Don't force it. The charms will either work for you, or they will not. I'm uncomfortable with people touching me, but I still want healing. Be aware that powwow is very much a hands-on practice. For many of the charms, the powwower's hands will be on you. This won't be inappropriate in any sense, but touch is key for some of the charms. There are some charms and cures that do not require physical contact, but these charms may or may not be the most appropriate for your particular condition. If you come to me for healing, it is highly likely that my hands will make contact with you in some way. In the Long Lost Friend, which is pretty much the original grimoire for powwowing, the instruction is "The hand must be put upon the bare skin in all cases of using sympathetic words." I want a teacher, can you personally teach me? I might consider taking you on as a student if you meet certain criteria. Contact me and we can discuss it. But understand this...you will need to come to me. We will need to meet in person so I can train you. I will offer training in powwow and the more advanced magical practices that I have learned over the years. It won't be easy and I can be a demanding teacher, but I promise it will be worth it. Contact me for more information. Can you give me more information about powwow? This website has more powwowing information than any other website or book on the topic. There are articles and links to pretty much every bit of powwowing information that I can find. Some links take you to books you'll have to purchase. Other links take you to free books that are available to read right away. If, after reading through this entire site and every single link and every recommended book, you are still craving more information, then I would suggest a trip to the historical societies listed throughout the site. Finally, for the best information, come right here to the heart of Pennsylvania German society and meet the actual folks themselves. I have powwowing in my family, is that interesting to you? Yes! That is VERY interesting to me, please write to me and share your story! The link is in the menu bar at the top of the page. I know more about powwow than you and I'd like to teach you a thing or two.... Great!!!! I am always interested in learning more about powwow so please write to me! Please be sure to include links and citations to the academic sources for your information. An email without links to ACADEMIC sources will NOT be responded to. What does powwow have in common with Hoodoo? Actually, not as much as you might think. Hoodoo is the folk magic of Black Protestants, primarily Baptist. Hoodoo mail-order companies eventually sold powwow grimoires, like the Long Lost Friend, but that's really where the connection ends. Here is an excerpt from Dr. E's Hoodoo website. After all the research I've done, I trust the information on this page moreso than any other in regards to Hoodoo. Hoodoo (also known as rootwork) is Southern folk magic grounded in centuries of African American heritage within the southern United States. Hoodoo is often known by other names including: conjure, rootwork, root doctoring, laying tricks, working roots or ?doing the work?. It is important to note, that contrary to what some authors may write in their books, Hoodoo is NOT Voodoo (Vodou). Hoodoo blends together the magical technology of Congo slaves that were taken from Africa in the slave trade, combined with Native American herbal knowledge, bits of European folk magic and Jewish mysticism. Hoodoo is not a religion, it is a magical system. The vast majority of rootworkers are Protestant Christians (mostly Southern Baptists) who read The Bible and pray the Lord?s Prayer and Psalms. Hoodoo practitioners are called by a variety of names including conjurers, conjure doctors, root doctors, rootworkers, hoodoos or two-headed doctors (a reference to the relationship between the magical practitioner and his guiding spirit). While Hoodoo/Rootwork originates in the southern United States it can be found in major metropolitan areas to the north (largely due to the northward movement of the Black population after slavery ended, and with the expansion of industry). In these locations, Hoodoo Rootwork adapted practices of the local people?s magical systems like the use of Jewish Psalms, German (Pennsylvania "Dutch") Braucherei curios and even bits of Espiritismo and Santeria. However, Hoodoo Rootwork is very much a Black Christian folk magical system. With the movement of Black people out of the South, and the spread of information in this modern age, people of every color, race and creed are found practicing Hoodoo across the United States. While most Hoodoo Rootworkers are Protestant Christians, there is a small minority of conjure doctors who practice Catholicism (mainly in Maryland), Spiritualist Christianity (in the South) or other forms of Christianity. In my opinion, Hoodoo Rootwork is not necessarily tied to Christian religious practice, but to divorce the two is a dishonor to the inherited traditions of Black ancestors that struggled to preserve their culture in the face of slavery and oppression. The following video is from youtube, it gives a very basic intro to Hoodoo, which demonstrates how different Hoodoo is from Powwowing. Do PowWows make hex signs? Some probably do, it's hard to say. The crafting of hex signs is actually a quite recent addition to powwowing (in the last 100 years, give or take). It is a form of art all it's own, and a crafter of hex signs is called a "Hexologist". This is sometimes confused with the title "Hexenmeister", which is one of the titles a powwower may be known as. It is important to understand that hex signs are not, historically, talismans for luck, love, whatever. This came about in the early-to mid- 1900's for the tourists who came to PA Dutch country to gawk at our way of living here. 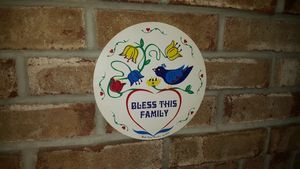 And so the painters of the hex signs created meanings and different designs to literally cash in. And that's how we have the hex signs as they are known today. Personally, I like the talismanic meanings, and have been known to incorporate hex sign symbology into my powwow work on ocassion (see the Hex Signs link at the top of the page), but this is not historically an aspect of powwowing, nor are they necessarily viewed as magical talismans by everyone. 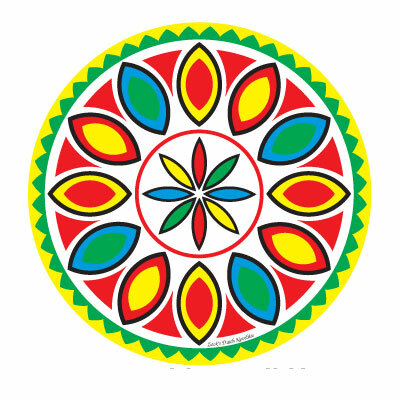 While powwow and hex signs are both of PA Dutch origin, they were not originally linked together. It's really a matter of personal taste and interest. Are you Karl Herr (author of Hex and Spellwork)? No, I'm not. Do you make a living with your powwow? No, powwow is not a source of income for me. It's true I get some royalties from book sales, but these are very small amounts of money that they are hardly worth mentioning. Powwow is not meant to be a money-spinner. There are no products or services to sell and it would be unethical to charge someone for your healing work. I make my living as an Accountant for the state government. Can a Powwow help me with a love spell or prosperity spell? No, this is generally not the function of a Powwow. If you need healing or some type of protective working or, God forbid, a curse removal, then call your local powwow. As for the rest (love spells and such), this is something you can discuss with your local powwow. I personally do not do this type of work. Is Powwow the same as Witchcraft? The Pennsylvania Germans take accusations of witchcraft very seriously. Indeed, our history is filled with instances of malevolent witchcraft and tales of how the powwow would be called upon to counteract that witchery. In the minds of the PA Germans, witches are evil and are agents of the devil. There are certainly modern schools of thought, like the wicca movement, that consider themselves to be 'witches' but these are not the same as the historical witch. Historically (prior to the 1960's and 70's) you would never have found a "good witch" in our state. Those who call themselves witches nowadays are nothing like the witches of history, nor should they be classified as the same. The powwower works against the powers of the malevolent witch, it is the classic battle of good versus evil. I would like you to powwow for me, but use the names of goddesses from my religion instead. Will you accommodate this for me? No. If you come to me, it is with the understanding that I am a Christian. I do not switch religions on request. It sounds like you don't want anyone to do powwow except you. Why? I don't believe that at all. It's not up to me whether someone chooses to powwow or not, so feel free to do as you like. I put together this site and wrote my book with the express purpose of sharing my powwow info with anyone who wants to use it. And if you ever want to contact me so we can discuss powwowing, compare notes, or whatever, that would be great! There are other powwowers around that you could probably track down as well. I'm certainly not the only one, nor am I the most authoritative voice on the subject. I just happen to be the most public and willing to share information freely. No one person or organization owns exclusive rights to powwowing, I promise. What makes you so special? Why should I trust your information? Throughout this whole site I have linked to all of my resources or referenced them (if they are books). If you'd like to research where I got my information, just follow those links or check out those books. There's nothing special about me other than my love for powwowing. I always do my best to put proper information out there. If I've made mistakes over the years, I've always tried to go back and make corrections. Certainly there are more sources out there than what I have linked/referenced here, but powwow is not my full time career so I do my best as time permits. God has made me and thee, hound. You are a little worm, not entirely grown. You plague me in marrow and bone. In a quarter of an hour you will be dead. Cross of Christ and Crown of Christ and Jesus Christ; red blood, be to me at all times and all hours good. god the Father is before me. God the Son is at my side. God the Holy Ghost is behind me. Who now is stronger than these three persons may come to seize me. + + + then follow up with three Paternosters. Three times, utter these words into the animal's right ear. Blessed is the day on which Jesus Christ was born; blessed is the day on which Jesus Christ died; blessed is the day on which Jesus Christ arose from the dead. These are the three holy hours; by these N.N., I stop thy blood. Thy sores shall neither swell nor fester; no more shall that happen, than that the Virgin Mary will bear another son. Take elm wood on Good Friday, cut the same while calling the holiest names. Cut chips of this wood from one to two inches in length. Carve on them, in the three holiest names, three crosses. Wherever such a slip is placed, all sorcery will be banished. There stood three roses upon our Saviour's grave. The first is mild, the other is good, the third shall stop the blood. To be hung in the home, hidden in a secret place, or carried with you. Many of the old charms refer to a skin infection known as "wildfire". This referred to a very specific skin condition called erysipelas. I use the term to refer to any skin condition. Feel free to change it to something else that might work better for you if you choose not to use the term "wildfire". Place this paper over the wound to stop the blood. Repeat for a total of three times, seal the working. Pour the water around the perimeter of your home. This is believed to prevent witches and thieves from infiltrating your property. Made more powerful if done on a Holy Day or after taking sacrament at church. "Heile, heile, Hinkeldreck! Marifree ischt olles weg." "Heile, heile, Hinkeldreck! Marifree ischt olles recht." "Heiliger, heiliger, Huhnerdreck! Morgen fruh ist alles weg (recht)." "Holy, holy chicken dirt. Early morning it is gone/away/right." "Holy, holy chicken dirt. Tomorrow morning it won't hurt!" It is said that to spit on the area of pain helps seal the magic. In the Amish community, there is an old belief that if a bundle of St. John's Wort was hung over the door of the house or barn, no witch could enter and no witchcraft could effect the people or animals within. In these days of the prevalence of hexerei, why take chances? When a charm calls for sealing the working with the sign of the cross, this is done with the right hand, made into a fist, and the thumb straight out (like a 'thumbs up' position). The cross is 'drawn' over the affected area with the ball of the hand just below the thumb; typically three times; spoken in the name of the Father, the Son and the Holy Spirit. Blow on area three times, then seal with the sign of the cross. All this be guarded, here in time, and there in eternity. Amen. You must write all the above on a piece of white paper, and carry it about you. The characters or letters above, signify: "God bless me here in time, and there eternally." Praise be to the Lord, the God of Israel, because he has come and has redeemed his people. He has raised up a horn of salvation for us in the house of his servant David as he said through his holy prophets long ago, salvation from our enemies and from the hand of all who hate us. Place hands gently on the afflicted area. Make three signs of the cross over the wound. Rub a raw egg from the top of your head down the length of your body to your feet three times. Break the egg into a dish or fireplace. If there is blood in the egg, it is a sign that negative witchery has been cast on you. Boil a piece of beef and while it is cooking, keep sticking it with a needle. The one who bewitched you will have the same pains and the spell upon you will be broken. Hang this above the main entrance to your house and it will certainly protect you from malicious persons! Three angels with three swords stand before the house of God. the third strikes down all enemies. In the name of the Holy Trinity! but do not linger here!" Stick the knife into the ground. Place a red knife gently over the affected area. Bloody wound, in God's name mend! Carry a bit of Pot Marigold (Calendula) on the day of your court appearance and, prior to leaving your home, recite Psalm 20 three times. The SATOR charm can be copied onto a slip of paper then taped to the inside of your front door to protect your home from thieves and intruders. The Pennsylvania Dutch know the value of being aware of the Moon's phases. Keep track here for all of your planting/harvesting needs! Another variation of the Double Distlefink, meaning double good luck. Known as the "Daddy of all Hexes", this combination of color and symbology provides good luck all year round. The twelve petals around the circle symbolize the twelve months of the year. The Distlefink is my favorite hex sign image. The double Distlefink is a sign of Double Good Luck. To view or purchase hex signs, go to ZOOKS DUTCH NOVELTIES!